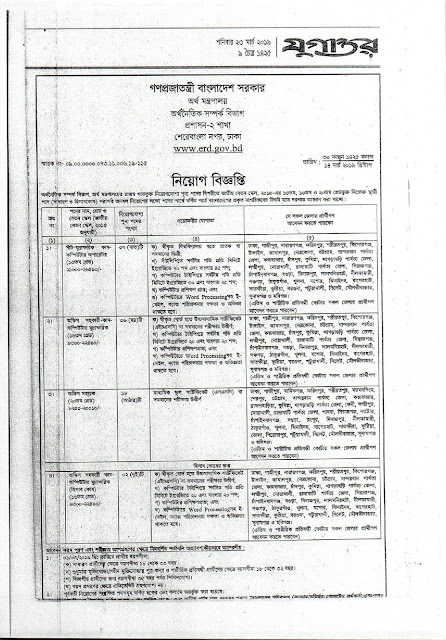 The Department of Economic Relations recently published the notification for the recruitment of 33 people in 4 posts. You can join subject to the condition that you are eligible for the post. You can apply for online posts from 27-03-2019. 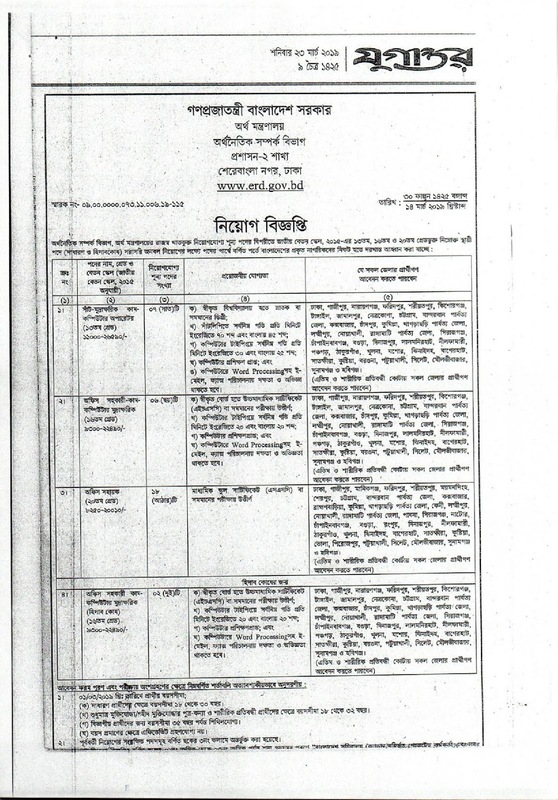 Can be appealed from 16-04-2009. Candidate should be between 18 and 30 years on 1-3-2019. But the children of freedom fighters / martyred freedom fighters are 32 years old. 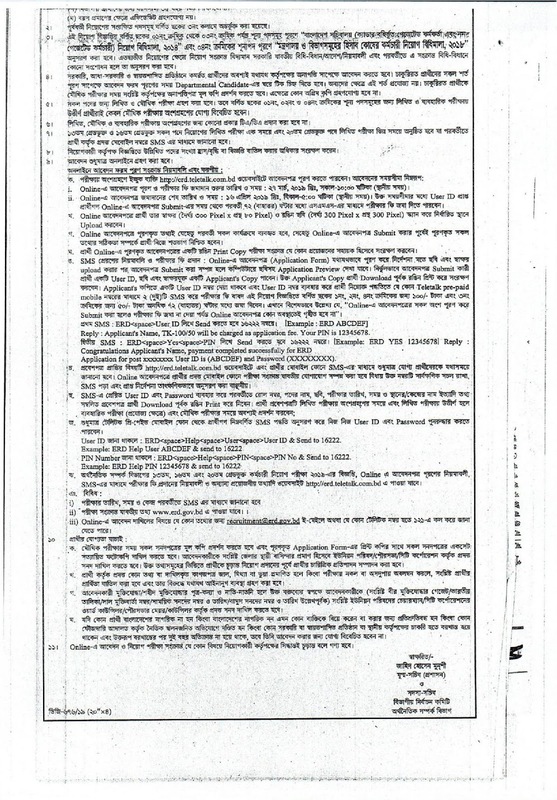 Interested candidates can fill up the application from the website (http://erd.teletalk.com.bd/) and submit it till 16-04-2019.